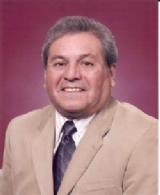 Embattled Central Basin Water Director James Roybal, the target of a recall movement started in March of this year, has been charged by the Fair Political Practices Commission (FPPC) with twelve violations of the Political Reform Act. The violations stem from a co-complaint filed over three years ago after a Hews Media Group-Community Investigation uncovered the violations. The investigation and subsequent complaint stated that Roybal did not report over $3,300 in small cash contributions. Those violations indicate that Roybal intentionally left off over $3,300 in contributions from his statements. The probable cause finding gathered the violations into three counts. Each count could carry a maximum fine of $5,000. Roybal has requested a hearing in front of an Administrative Law Judge, but it is up to the FPPC to conduct a hearing, the agency is under no obligation. The twelve violations included “Roybal and the Committee failing to disclose” a $200 contribution from Henrietta Correa Salazar, $250 from Marcy Gloria Grajeda, $500 from Edward Sarkissian, Jr., $150 from Betsy Chang, $100 from Victor Caballero, and $400 from James and/or Michele Ciampa. A $250 contribution came from Golden State Advocacy owned by Robert Garcia, who had a large consulting contract with Central Basin. Roybal and the Committee failed to disclose a $250 contribution from Romejan, Inc., $100 from Antonio Mendoza, $500 from Southwest Management Consultants, and $250 from Davenport Management, Inc.
Hews Media Group-Community News exclusively learned in March that Roybal was served with a Notice Of Intention (NOI) to Circulate Recall Petition. The NOI was signed by 20 voters residing in municipalities within Roybal’s District 1 and was served on Roybal at a morning committee meeting at CB’s headquarters in Commerce. Some of the articles include HMG-CN first reporting that Roybal and Board ally Leticia Vasquez had their campaigns funded in large part by convicted felon Rick Mayer, aided by felon who pled down to a misdemeanor Angel Gonzales, owner of Pyramid Printing. Make this drunken, child molesting chump pay. He was never fit to serve and only got elected because of stupid voters and the Roybal name. He’s been an embarrassment in Pico Rivera for years who’s known as the town-drunk and an outright loudmouth know-it-all.